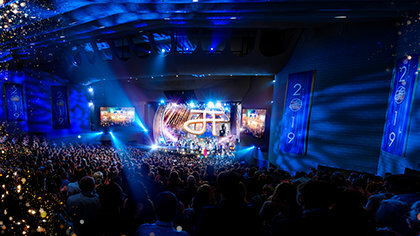 Knowing well Mr. Hubbard’s strong admonition to national governments to uphold the fundamental rights of Man and to abide by the 30 articles of the 1948 Universal Declaration of Human Rights (UDHR), Mr. Miscavige was inspired to launch the Church of Scientology global human rights campaign. The effort has been greeted by groups around the world as a vital program to help bring about a more peaceful world by instilling those rights that stress human compassion and understanding. 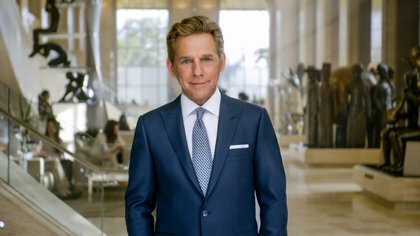 David Miscavige spearheaded the creation of an international human rights education program that now reaches tens of millions each year with a universal message of human rights. Central to Scientology beliefs is the conviction that all humankind is entitled to inalienable rights. For more than 50 years, Scientologists have championed the indispensable principles of protecting human rights. Today, the Church of Scientology sponsors the largest non-governmental information campaign to advance the United Nations UDHR. Booklets addressing “What Are Human Rights?” and public service announcements educating youth and adults in easily understood terms, on the meaning of the 30 articles of the UDHR. A study guide, activities manual and an educator’s classroom kit giving teachers, human rights activists and governments effective tools to educate youth and adults on their human rights. A documentary video, The Story of Human Rights, complementing the booklets, public service announcements and integrated into the educational curriculum. To date, the program has forged partnerships with over 2,200 organizations and government agencies to foster human rights across the globe. Further, more than 1.8 million students have been empowered with human rights education and over 42,000 schools worldwide have implemented the campaign curricula, all made available to educators free of charge.